There are plaques alongside framed photographs of Neil being presented with awards. There’s the occasional memento from Australia’s golden days of caravanning in the 1960s and early 1970s when Chesney reigned supreme on the roads of Queensland and beyond. In a country like ours where we celebrate sports stars and show a grudging respect for successful business people, an office like this is rare. As you’d expect, so is the man who owns it. Neil Chesney will turn 80 next year and while he may be slowing down a little, there’s absolutely no mistaking the charisma that helped build one of the country’s most successful caravan manufacturers. 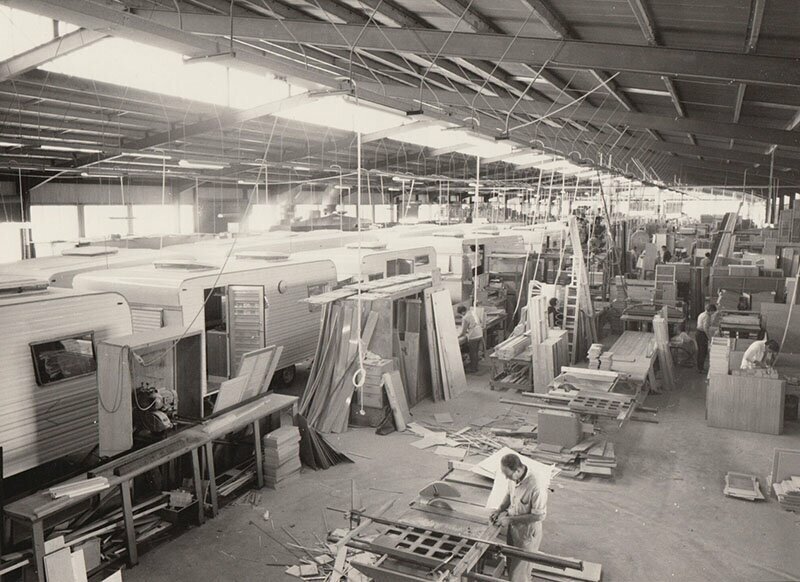 Along with Franklin Caravans in Victoria and Viscount Industries in NSW, Queensland-based Chesney mastered the mass production of caravans in the 1960s. 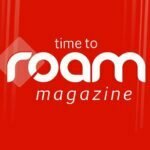 It made holidays on wheels possible for thousands of Australian families and created many lifetimes of memories in the process. Neil Chesney was born into a caravan family and for as long as he can remember he always wanted to build them. 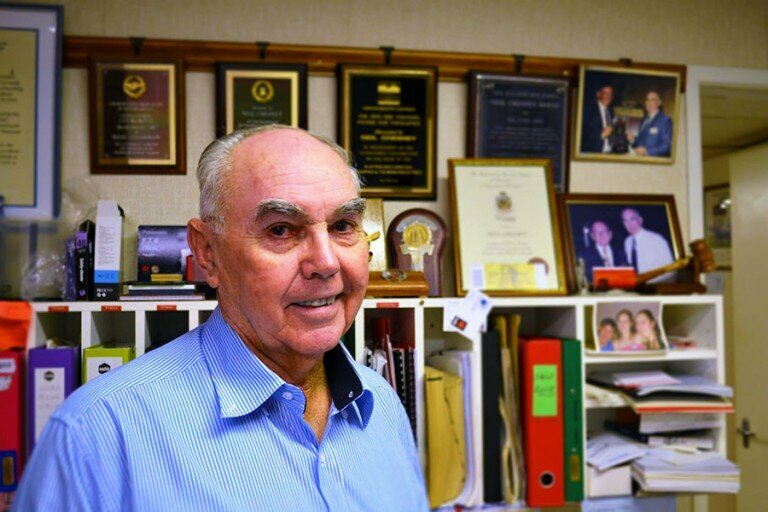 His father Alex was a successful caravan salesman, establishing what grew to become “Chesney Corner” at the busy intersection of Gympie and Rode Roads in Brisbane’s Chermside. Alex Chesney initially sold kit caravans that were popular in the early 1950s and was also the Queensland manager for Carapark caravans. Neil left school at age 14 to do an engineering apprenticeship and five years later he began making parts for his father to sell. His first factory space was underneath the family’s Queenslander home, however demand increased quickly to the point where he had to find bigger premises and moved into an old boat shed at Breakfast Creek in Brisbane. It was there Neil Chesney built the first complete Chesney caravan, which proved to be a little too ahead of its time. That minor setback aside, Chesney caravans quickly found favour with buyers as more Queenslanders bought cars and looked forward to holidays in the Sunshine State. In 1960 production moved to a new factory at Stafford as Chesney moved away from timber construction and started building stylish lightweight aluminum caravans. In 1965 Chesney received the biggest order of his career when he was commissioned to build 500 caravans to be used as temporary housing for workers at the new aluminum smelter at Gladstone. He later bought the vans back for a fraction of the sale price, refurbished them and held one of Queensland’s biggest caravan sales of all time. “So many people turned up wanting to buy a van, we actually had to limit the number who could enter the site and they queued to buy them,” he said. In 1968 came another move, this time to a purpose-built factory complex on a 10 acre site at Lawton where caravans were produced at the rate of 22 per day. As well as caravans, the factory turned out a wide range of industrial vehicles, school buses, slide on campers, motorhomes and the “Kampa” range of lightweight pop top campers. Always the innovator, Neil Chesney was soon to introduce another great breakthrough, becoming the first Australian manufacturer to mass produce caravans using composite fibreglass materials. When the Regal was released in 1970 it was unlike any caravan before. It came with a sleek fiberglass front and rear as well as a one-piece fibreglass roof. Not only did it make the van much lighter, but it also virtually eliminated the risk of roof leaks. Sadly it was an innovation that was short lived. The seeds of Chesney’s demise were sown in 1971 when the family decided to sell the business. As Neil recalls, “My father was getting older and my brother had left the business so family was keen to sell and the buyer was a company called Concrete Industries, Monier. Neil took a year off before returning to the industry, this time manufacturing camping refrigerators under the brand name “Chescold”. While he sold that business in the late 1980s to Electrolux, he’s maintained a strong involvement in the industry. In recent years he’s worked as a technical auditor for the industry organisation he helped establish, checking to make sure new caravans and RVs are up to standard. He says quality and compliance are big issues for some manufacturers and they need to work harder to address problems. “I hear about all the complaints in the industry. I often get called in by Consumer Affairs here in Queensland to look at problems with caravans. 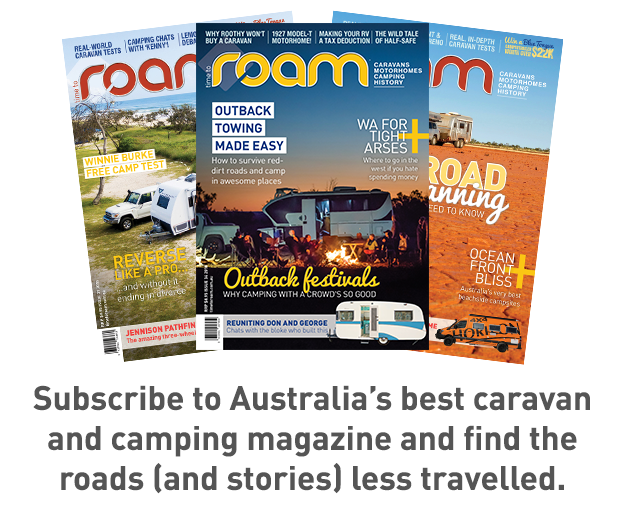 It’s important for manufacturers to stand behind the products they sell.” The odd quality issue aside, Neil Chesney sees a bright future for the Australian RV manufacturing industry.